ufo - UFOs at close sight: Alien remains on Earth? If aliens from other planets do visit Earth, there must be traces. If there are traces, they can be searched and found. Here are some claimed results. These skulls were photographed by Robert Connolly on his trip around the world during which he was collecting materials about ancient civilizations. The discovery of unusual skulls was thus an unintended "spin-off" of his efforts. Robert Connolly published his photographs on a CD-ROM, titled "The Search For Ancient Wisdom", Cambrix, 1-800-992-8781, in 1995. The data about the skulls is incomplete, and that makes the correct assessment of their age, context, as well as placement of their origin extremely difficult. Some of the skulls are very distinct, as if they belong to entirely different species, remotely similar to genus Homo. Interestingly enough, most of the unusual skulls discovered by Connolly come from Peru. "Both types shown here are bordering on biological impossibility. The only explanation for the specimens to be naturally born is if the neoteny (the ability of the species to prolong the growth period before maturing) of both groups had been expanded beyond the range for a modern type of human, for the skull to grow to such a size. That may also mean the average life span of these specimens may have been substantially longer than the average for the modern human type." "Any conjectures that what these specimens represent are simply deformations or pathological cases can be hardly substantiated. Anomalous types of growth or shapes appear from time to time in the modern human population, however, these occurrences are still within the range of the given species. 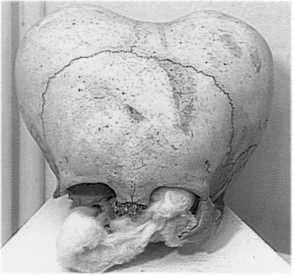 The largest skull documented in the medical literature had the cranial capacity of 1980 ccm, (*) however, the shape of the skull was normal. Also, it is necessary to keep in mind that any pathological growth of the cranium has dire consequences for the afflicted individual at the early stage of the development, practically without exception. Nature is very unforgiving in this respect. All the specimens presented here were mature individuals." (*) The cranial capacity can be estimated safely above 3000 ccm mark. This is puzzling and unexpected. Conclusions? There is an open field for further investigation on the matter before any conclusions are drawn. But one thing is certain: it is now difficult to claim that aliens did not visit the Earth "because there would be some remains": there might be.